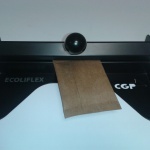 ECOLIFLEX is a quick, easy and adaptable machine. 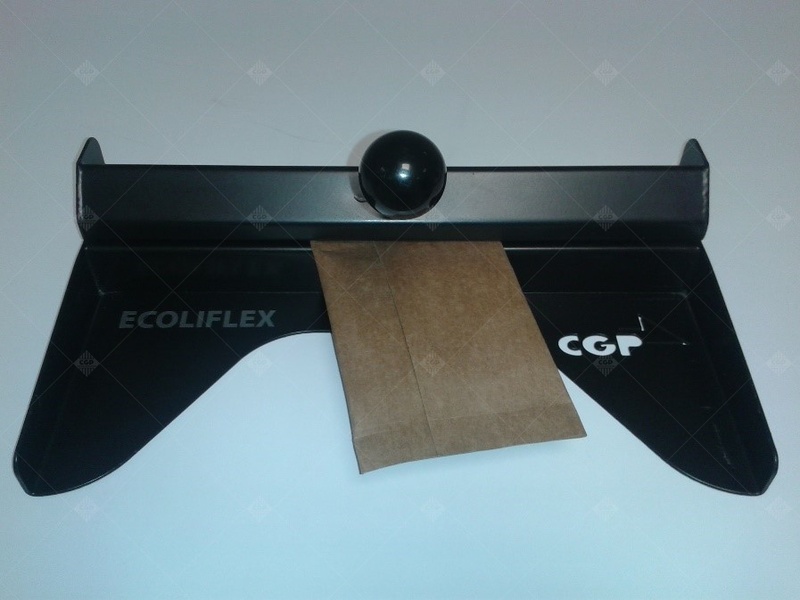 The ECOLIFLEX press is ideally suited to e-fulfillment requirements (order management and monitoring via Internet). 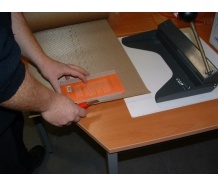 Operating principle: Simply cut the length of self-sealing cardboard you want, insert the object to be protected, close the package by pressing the Cold Seal-coated sides together with the ECOLIFLEX. Find out more about Cold Seal: The materials that are coated with Cold Seal are intended for manual and automatic packaging for parcels. When two layers of self-sealing coated materials touch, they stick together. They don't require any hot pressure to stick together, only cold pressure is needed. A product which is inserted between 2 Cold Seal self-adhesive parts will be protected effectively without any glue residue being transferred onto it. 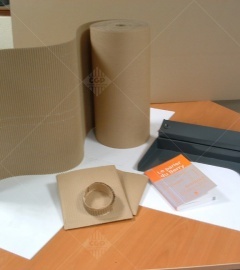 Get rid of the endless different sizes of envelope: Cold Seal cardboard is suitable for all objects, from small fragile objects to large objects. It is a flexible material which marries the shape of the item it packages. It is the perfect consumable for packaging objects of various sizes. 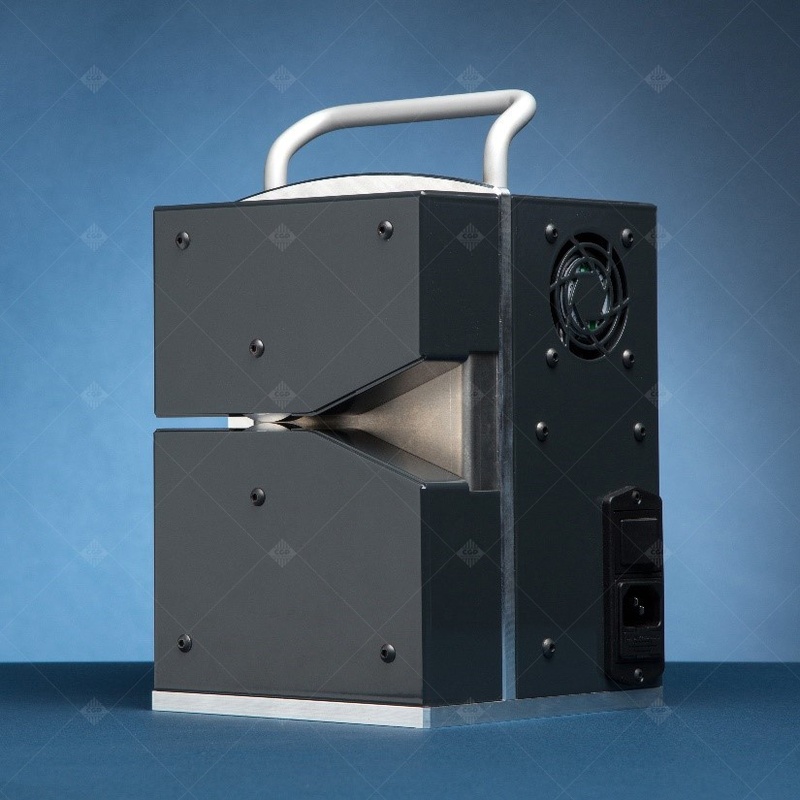 Provided in a reel, the self-sealing compact cardboard and the self-sealing single-sided cardboard are rolled out according to the needs of each package to be made up, to the exact length needed to produce the packaging. Easy opening Cold Seal: The self-sealing cardboard and the self-sealing single-sided cardboard may be delivered in a reel with an integrated cut-out to make the package easy to open. 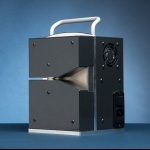 100% MANUAL PROCESS An operator needs to apply pressure with the MANUAL ECOLIFLEX to close the package. SEMI-AUTOMATIC PROCESS which helps the operator apply even and continuous pressure to the consumable. 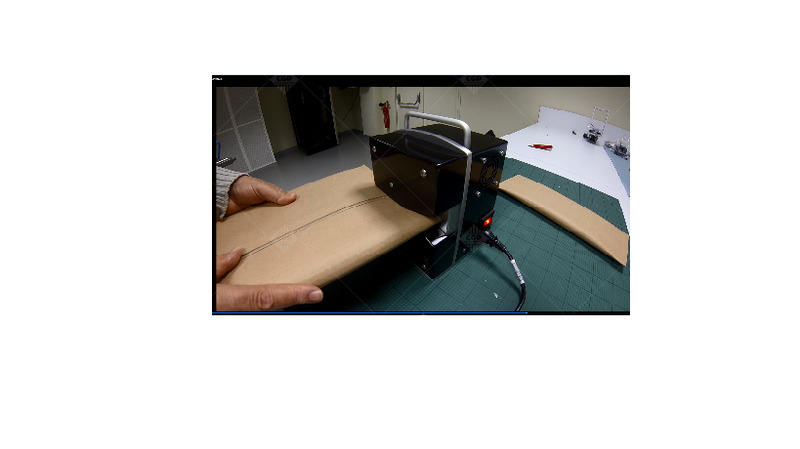 Roll out and cut the length of self-sealing cardboard you need. Place the product to be packaged inside the Cold Seal. Close the Cold Seal package over again on the product as shown below. Insert the first side of the product to be sealed into the machine. As soon as the product is between the press rollers, the operator guides the packet into the press. Once the 1st side of the packet is sealed, the operator repeats the operation on the other side of the packet.